If the UK wants a satisfactory Withdrawal Agreement from the EU, it must stop allowing the EU to dictate the terms of the negotiation. The UK should call the EU’s bluff and tell the European Council that it is prepared to exit without an agreement if the EU does not agree to open up the Withdrawal Agreement and amend the Irish backstop. Since day one, the European Union has been playing “hard ball” with the United Kingdom over Brexit. With the UK Government’s approach engulfed in parliamentary chaos, it is time for the UK to play hard ball back, as regrettable as this may be. 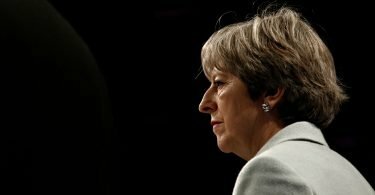 With the Withdrawal Agreement rejected by Parliament for the third time, and the April 12 deadline looming, Prime Minister Theresa May should now go back to the European Council and demand that the Withdrawal Agreement be reopened to amend the provisions of the Irish border “backstop”, the critical stumbling block to the Government marshalling enough votes. Since the EU reached agreement with the UK Government on the draft Withdrawal Agreement and on the Political Declaration in November 2018, and notably since the UK Parliament rejected the agreement by an overwhelming margin on January 15, the EU has refused to amend any part of the Withdrawal Agreement. This is an unreasonable position for the EU to take, but appears to have gone unchallenged. Article 50 of the Treaty on European Union stipulates that a Member State can withdraw from the EU “in accordance with its own constitutional requirements”. In the UK’s case, this means that, as well as Her Majesty’s Government, Parliament must approve, by legislation, the exit arrangements. This manifestly it has not yet done. The European Council stipulated in its own April 2017 guidelines for Brexit negotiations as a “core principle” that “nothing is agreed until everything is agreed”. Everything is not agreed, and yet the EU refuses to negotiate. The EU’s refusal to reopen the Withdrawal Agreement is in line with the blinkered, hard-nosed approach it has taken throughout the Brexit negotiations. Most egregiously, the EU flouted the letter and spirit of Article 50 by refusing to discuss the envisaged future relationship until after a number of issues relating to “the disentanglement of the UK from the EU” had been decided. Article 50 stipulates that “the Union shall negotiate and conclude an agreement with [the departing Member] State, setting out the arrangements for its withdrawal, taking account of the framework for its future relationship with the Union.” What arrangements are sensibly made for a member state to withdraw will depend on what kind of future relationship is envisaged. The EU and the UK should have focused first on what kind of future relationship they wanted and, based on that, proceeded to work out how to get there. The EU refused to do this and the UK rolled over. After the defeat of the Withdrawal Agreement yet a third time, the EU has continued to play hard ball, the European Commission releasing the following statement: “A ‘no-deal’ scenario on 12 April is now a likely scenario. The EU has been preparing for this since December 2017 and is now fully prepared for a ‘no-deal’ scenario at midnight on 12 April. The EU will remain united. The benefits of the Withdrawal Agreement, including a transition period, will in no circumstances be replicated in a ‘no-deal’ scenario. Sectoral mini-deals are not an option”. Fighting words. A core tenet of game theory is that, in a negotiating situation, one party can move the other party closer to its desired outcome if it can convince the other party that its threat (bargaining position) is “credible”, meaning that it would be optimal to carry out the threat in the situation in which the other party did not concede. The threatened outcome is not observed but it conditions the outcome that is. The EU behaves as if it fully understands this game theory logic, the above statement by the European Commission being an object lesson in how to proceed. 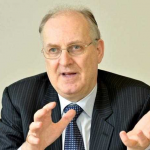 The UK, on the other hand, defied this core tenet of game theory by relinquishing its main threat, one of its prime sources of negotiating leverage, when the Parliament voted by a narrow margin (312 to 308) on March 13 to take a “no-deal” exit off the table. It doubled down with a similar thrust in an “indicative vote” on March 27 (400 to 160). Not only is the threat not credible, it is not even there! Reinhard Selten would be turning in his grave. The position of the European Commission, in line with that of the European Council in granting the UK an Article 50 extension on March 21, is that it is “for the UK to indicate the way forward before [April 12], for consideration by the European Council”. Prime Minister May should now call the EU’s bluff and tell the European Council that the UK too is prepared to exit without an agreement if the EU does not agree to open up the Withdrawal Agreement and amend the Irish backstop. The vast majority of the 599-page agreement and the 36-page Political Declaration could remain the same (of course, such a minimalist approach would not be to everyone’s liking). 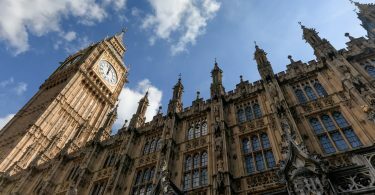 The March 13 and March 27 votes taking a no-deal exit off the table were expressions of the sense of the House, but are not legally binding on the Government. Prime Minister May stated to Parliament after her most recent defeat that she “[feared] we are reaching the limits of this process in this House” but that the “Government will continue to press the case for the orderly Brexit that the result of the referendum demands”. The question is: how? It takes two to tango. For an orderly Brexit to be the outcome, the UK Parliament must pass the Withdrawal Agreement, but it is clear, after being rejected three times (albeit by progressively narrower margins), that the EU needs to give some ground on it. The main sticking point is the concern among many Brexiteers that the Irish backstop could end up either being a permanent arrangement that locks the UK into a customs union or driving a wedge between Northern Ireland and the rest of the UK. There is no logical or legal reason for the EU not to make the necessary changes to this part of the Withdrawal Agreement to give the UK legally binding comfort on this point. With enough goodwill and ingenuity on both sides, a hard border between the Republic of Ireland and Northern Ireland can be avoided; the issue need not hijack the whole Brexit process. In game theory terms, the UK taking such an approach would set up a game of chicken, with the EU and the UK both rattling towards a no-deal exit on April 12. The EU will very likely blink if the concession that it is asked to make – open the Withdrawal Agreement and tweak the Irish backstop provisions sufficiently for the UK Government to be able to secure a majority in Parliament – results in an outcome that it prefers to a no-deal exit. The EU surely prefers an orderly Brexit under a tweaked Withdrawal Agreement to a no-deal Brexit, and if truly confronted with that choice would very likely concede the necessary ground. But the EU will only blink if it is convinced that the UK Government prefers a no-deal exit to the current course, which will likely entail a long Article 50 extension, the UK having to participate in the European Parliament elections in May, and possibly an early general election and/or a second Brexit referendum. Not a pretty prospect. 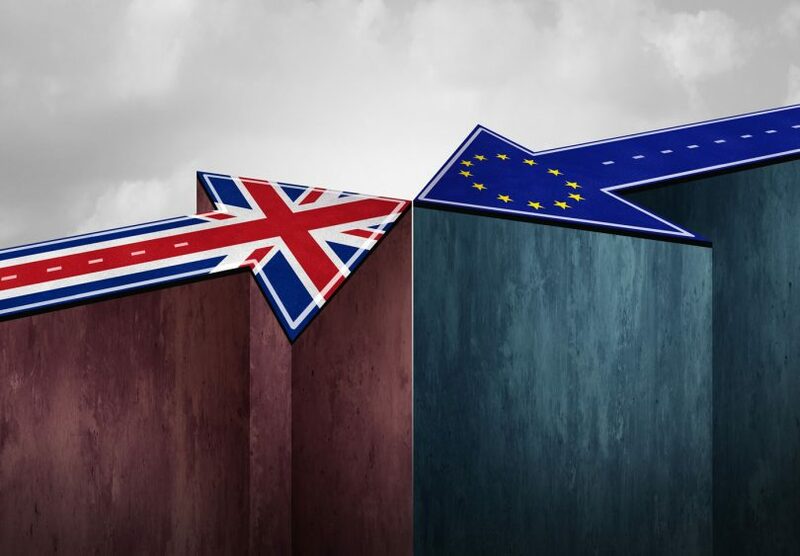 When it comes to the no-deal scenario, most commentary focuses on the question of how disruptive and costly in economic terms this outcome would be, with much of that commentary on the pessimistic side. No doubt there would be some short-run disruption and economic costs. But the main effect of a no-deal Brexit, conceptually, is to change the bargaining positions of the respective parties and the dynamics of the negotiating process. The EU28 will be the EU27 and the UK will no longer be an EU Member State, bound by the EU Treaties. Everything that could have been agreed by the parties the day before a no-deal Brexit, in principle, can be agreed the day after. To the extent that the UK no longer being an EU member generates economic costs due to frictions stemming from institutional rules and regulations, those costs will fall on both sides and will create powerful incentives for both sides to agree on ways to reduce them. Recently, the world has been entertained by the all-consuming spectacle of the UK negotiating with itself, as if the EU were an innocent bystander. Who needs to watch HBO box-set dramas, when the UK Parliament offers up such spell-binding fare? The European Council is expecting the UK to “indicate a way forward” before 12 April. The UK should tell the European Council that way forward needs to involve the EU, not just the UK, giving ground. It might just work. Paul Sheard is an economist, and a Senior Fellow at the Harvard Kennedy School’s Mossavar-Rahmani Center for Business and Government. He was formerly Vice Chairman of S&P Global, and has held other senior positions in Tokyo and New York.